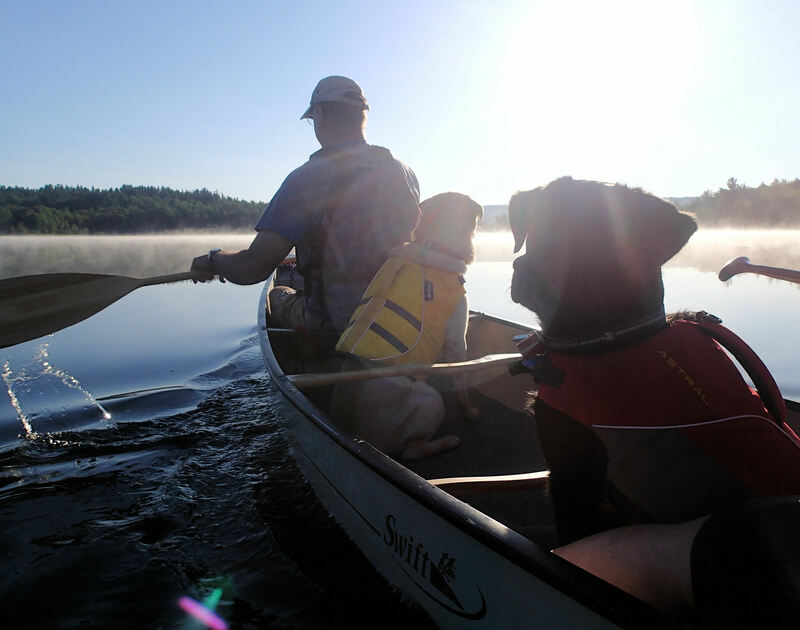 “Life is what happens to us while we’re making other plans.” | Vermont Paddle Pups! 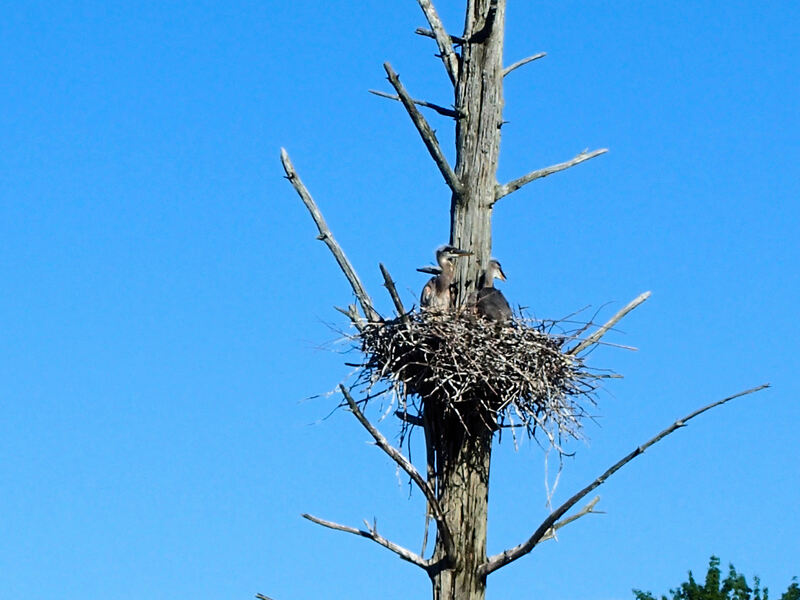 Just a brief blog post this week…We would normally have been celebrating Independence Day recently, but a serious family situation has resulted in Gryphon and my being in NH 4-5 days per week. As a result, our activities have been more of the quick get-away type…but we have kept busy, which helps keep me sane during these trying times. 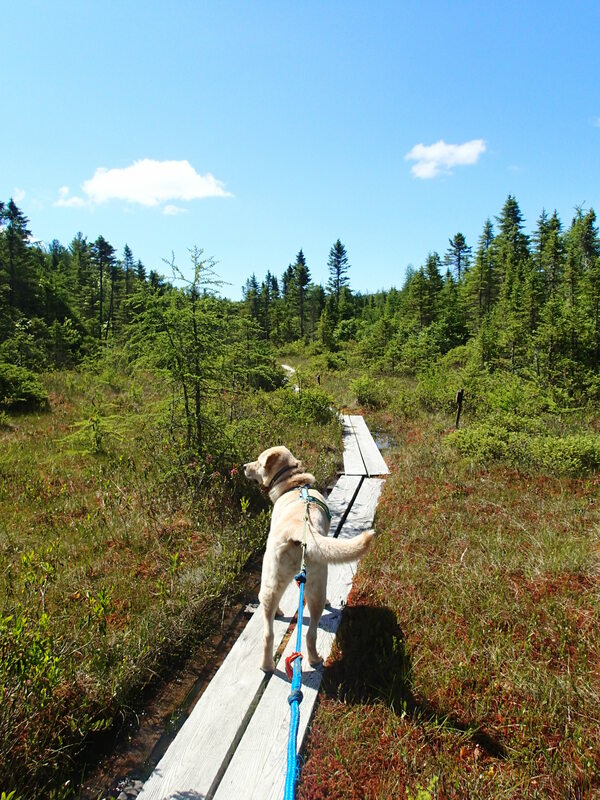 While in New London,NH, Gryphon and I finished the last of the trails on the trails checklist…Gryphon was very well behaved on a bog trail (he is excellent at staying ON the puncheons), and though many of the trails were very muddy and buggy, we did find a few gems, and have competed the checklist. 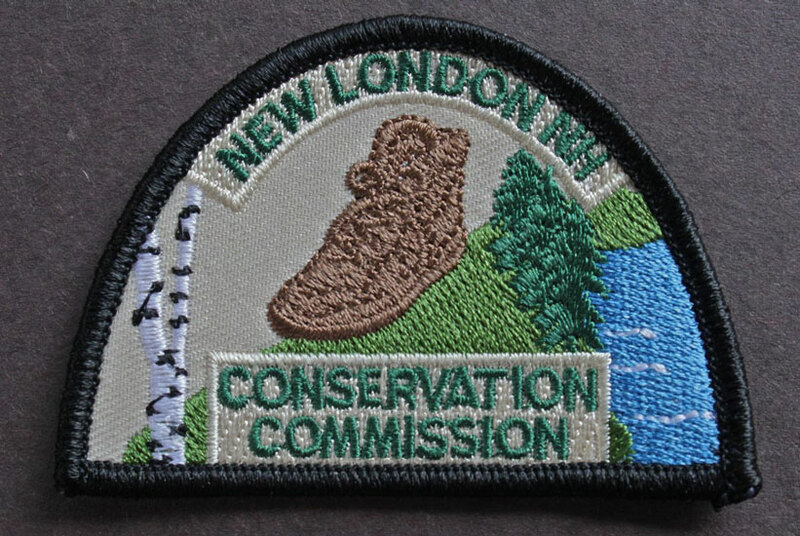 I submitted both our names with the check-off sheet, so theoretically, in October we will each receive a trail hiker patch. 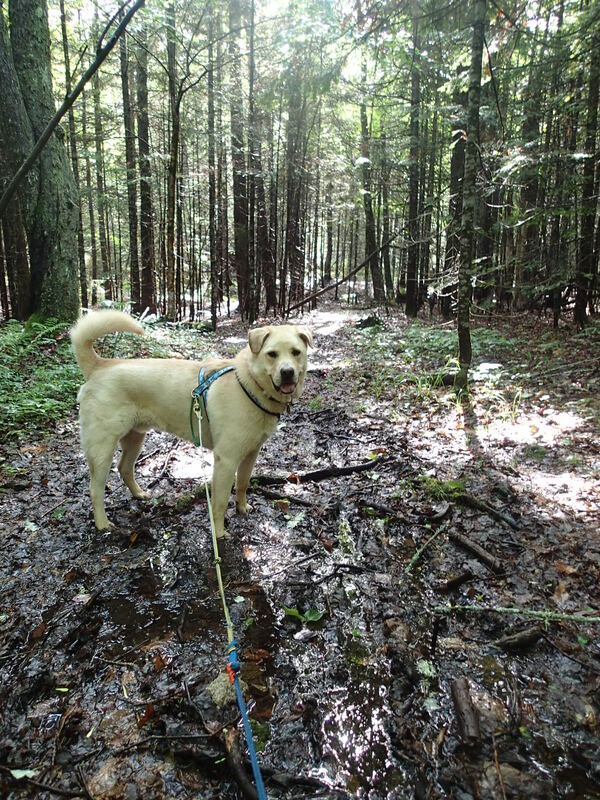 This area has some nice trails, exploring ponds, marshes, bogs, and woods…the trails were not as saturated as those in Vermont, but certainly had their muddy spots! 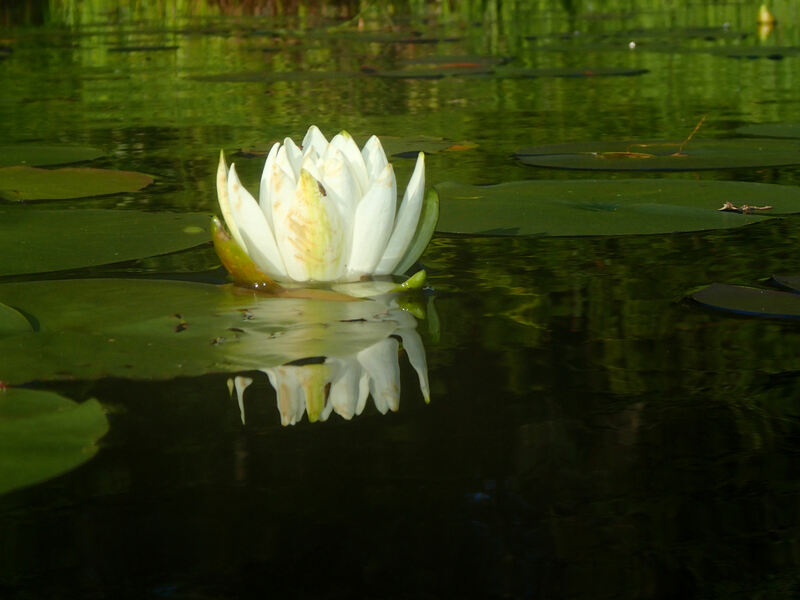 Reflection of a bird, seen on the pond surface…. 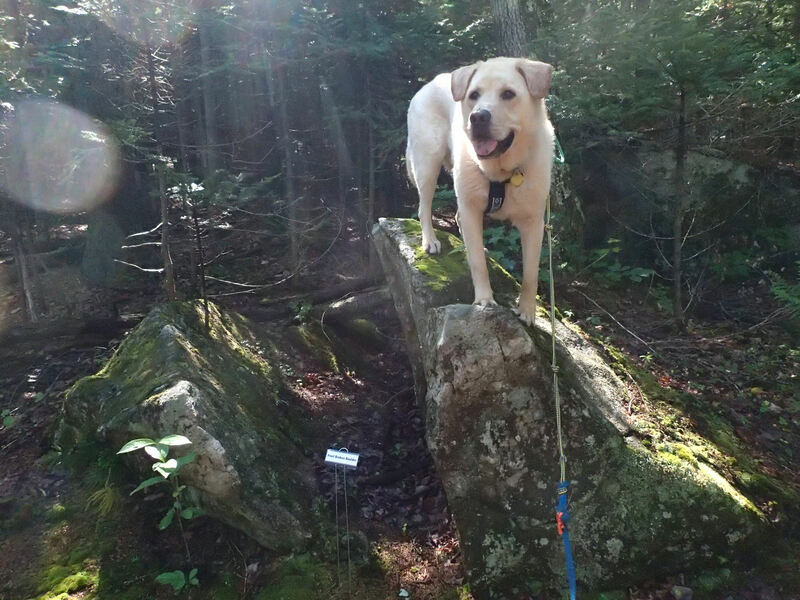 Gryphon sees a rock, jumps up on rock automatically…he knows it is time for a photo! We were able to get out for one quick overnight trip, at Green River Reservoir, trying a site which was new to us…tucked at the far end of an inlet, near no other sites; it was certainly a peaceful and quiet location, high above the water. 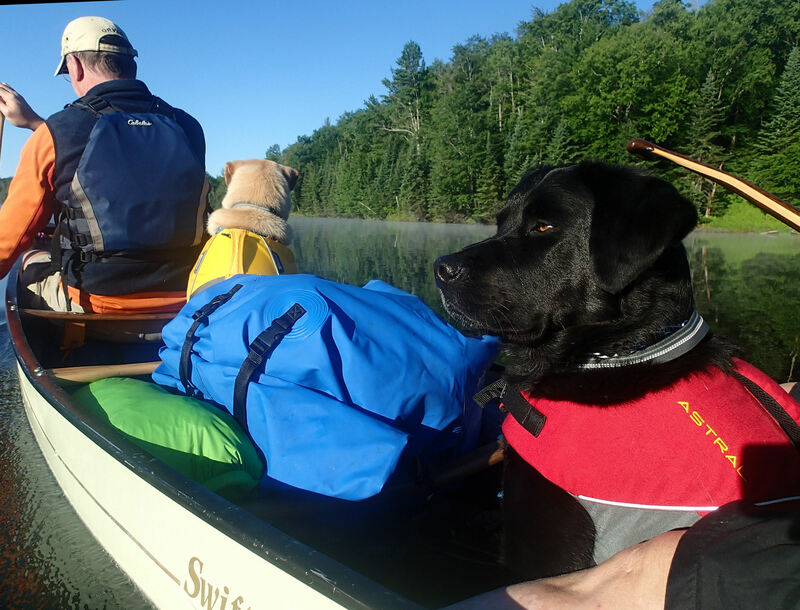 Due to the ongoing crisis, I had to postpone my plans for solo canoe camping with Gryphon….hopefully, we’ll get to that later in the season. 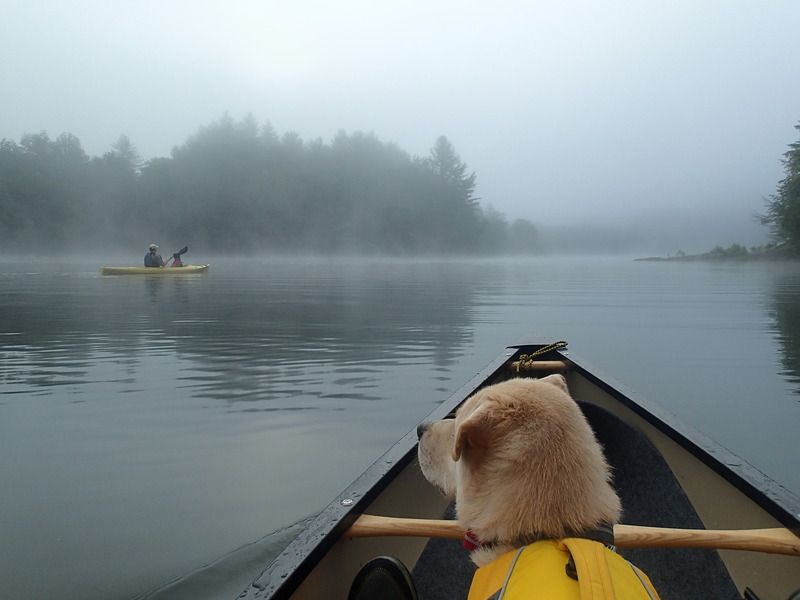 Heading out in the morning, mist on the water…. 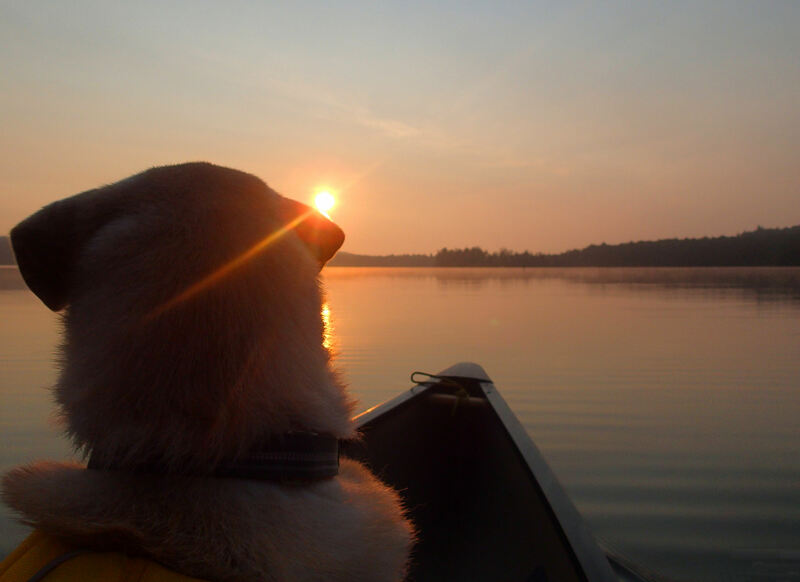 Our day paddle trips have been very successful, trying a few new locations, and some of our old favorites. 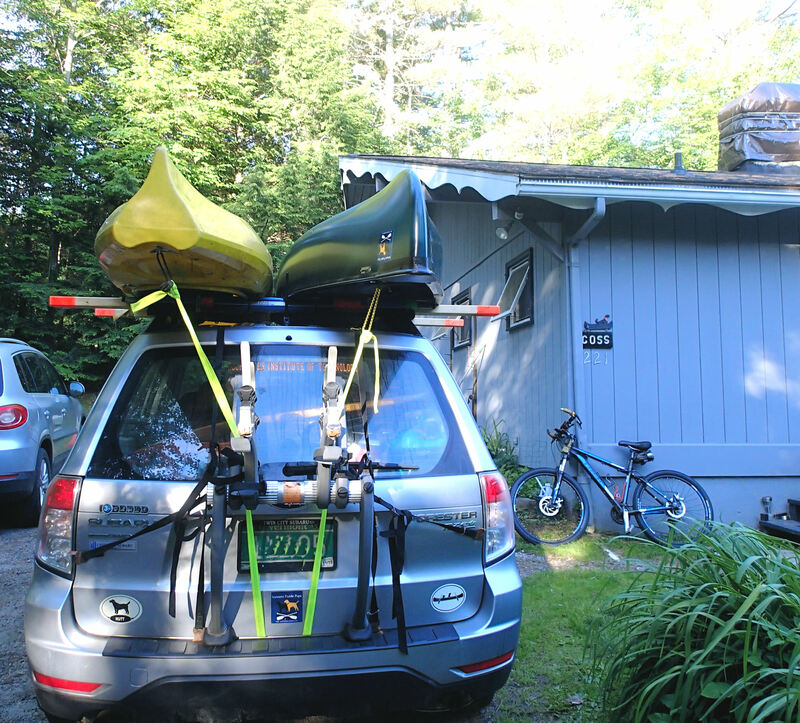 We now have succeeded in constructing a two-boat rack, so we can bring both the kayak and the solo canoe on one car. 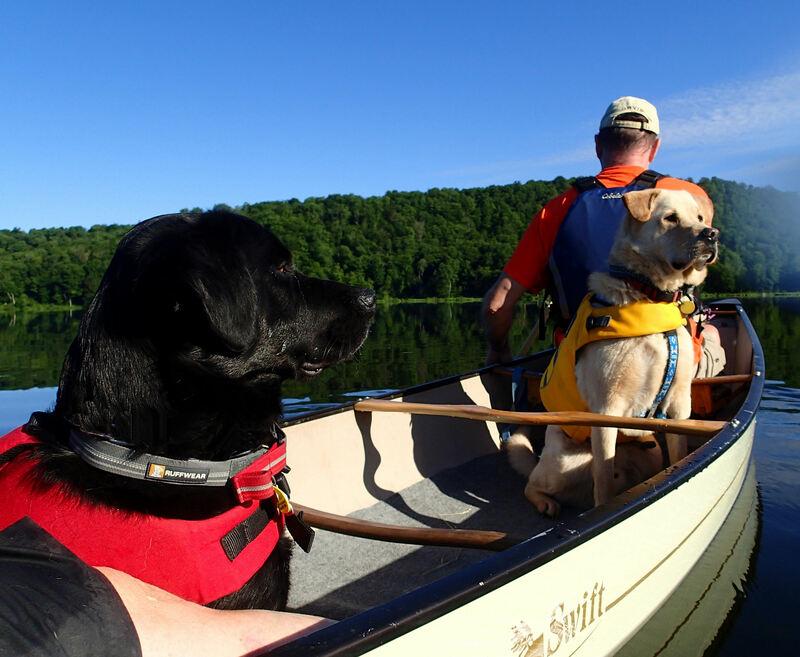 This will greatly increase our flexibility in choosing paddle spots. 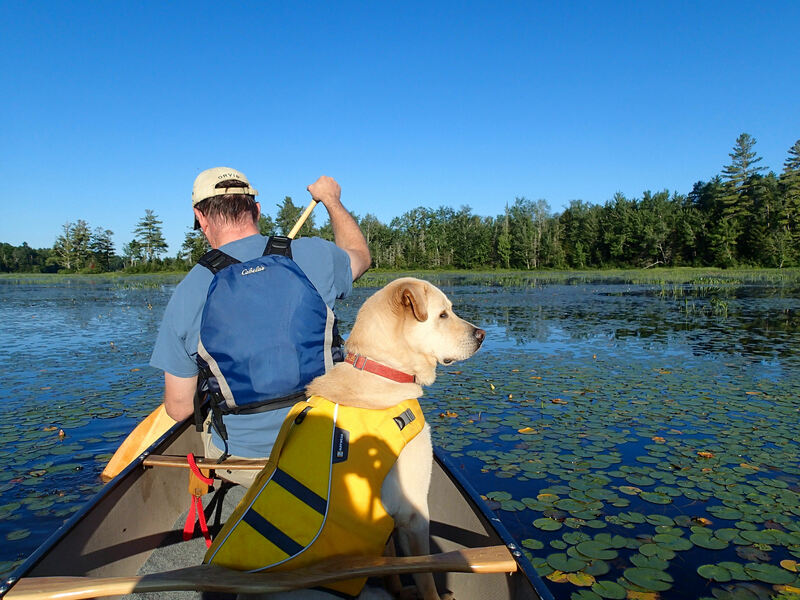 And so, in keeping with my goal of making this a ”quick update” blog post, here is a brief summary of our day trips, as well as some solo canoe adventures I have had in NH…..
An evening on Wolcott Pond….. a quiet evening paddle, in the kayak and solo canoe…. Big Hosmer Pond We have paddled here before, and skijored here in the winter…the lake was the calmest we had ever seen it…. McDaniel’s Marsh A new experience in paddling….a large marsh, shallow water, lots of aquatic foliage, but a spectacular setting, on a spectacular day! 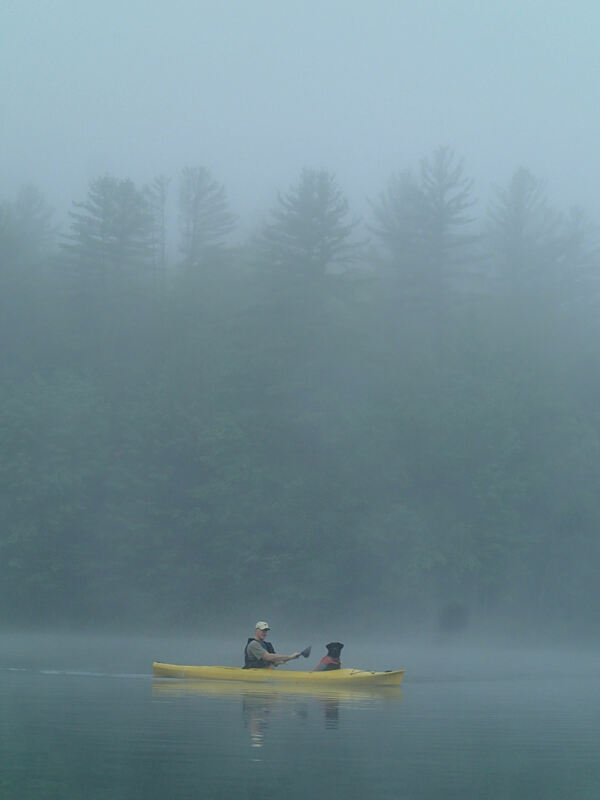 Blush Hill Access to Waterbury Reservoir We got there early, before any power boats hit the water…made for a lovely, foggy morning paddle! 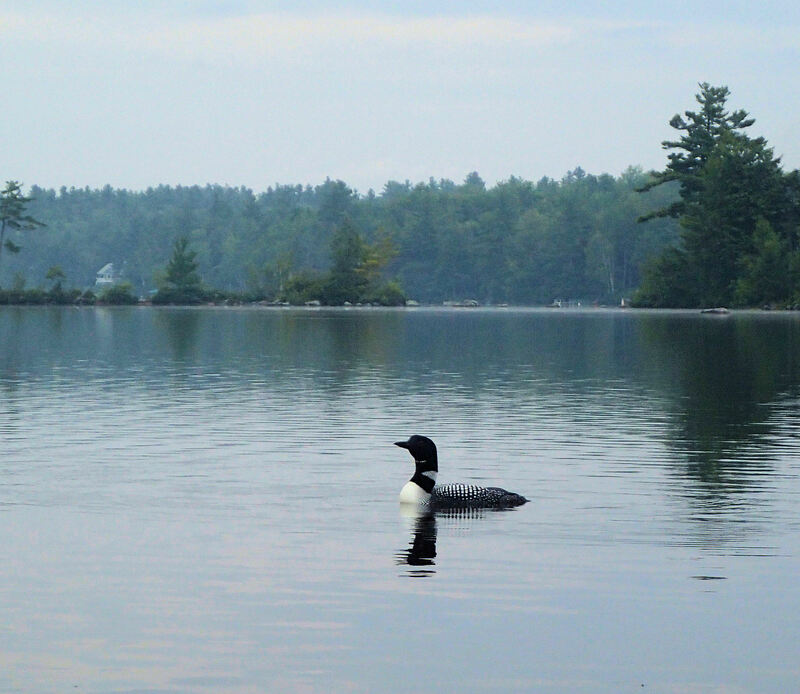 Solo Paddling on Little Lake Sunapee, NH… Two days in a row, on the water before 6am! Beautiful! 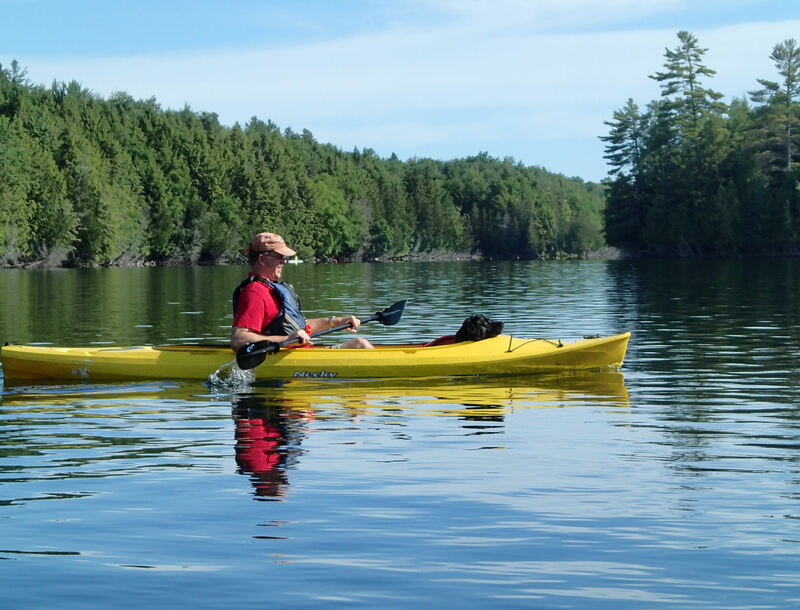 More paddling, camping, and hiking will be happening this summer….right now, focus is on family, and maintaining peace and calm in very trying times…..keep safe everyone! 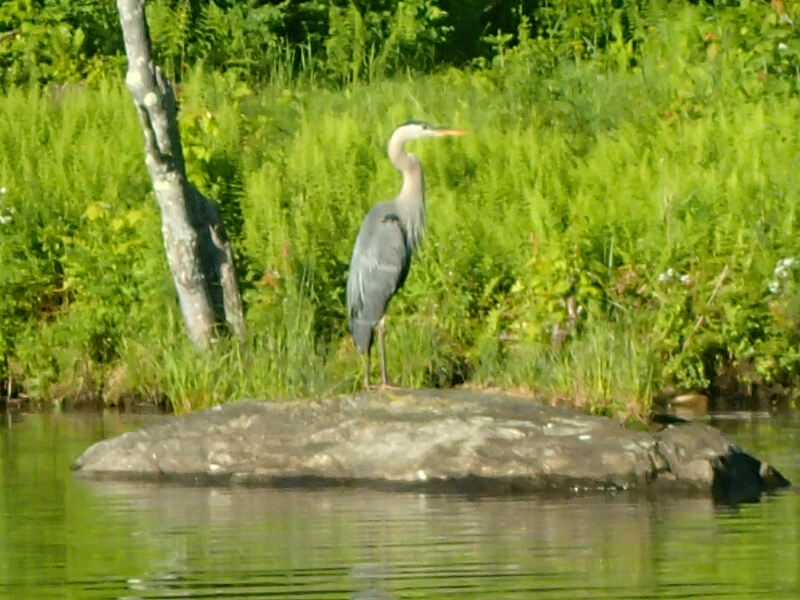 Loved seeing Gryphon posing on the rock. What a smartie. When I try posing Honey I get a “really? are you kidding me?” look from her. Hope your family situation resolves itself soon. Gryphon is clicker trained…to the click of the camera shutter, that is! Camera=cookie! You have some great shots. 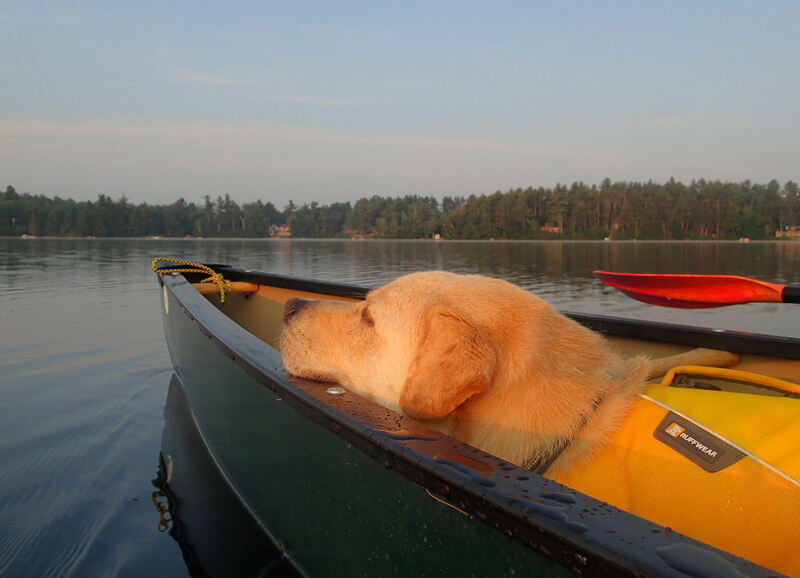 Love the ones in the canoes! I always know there will be wonderful images when I come to your website and you never disappoint! I hope things return to normal for you soon. Thanks Elaine! 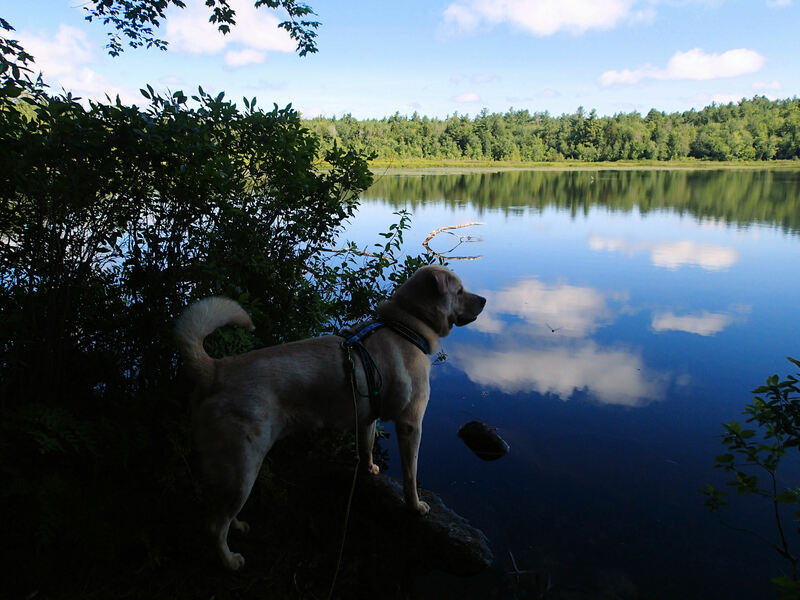 Getting out with the dogs helps us keep a sense of normalcy….